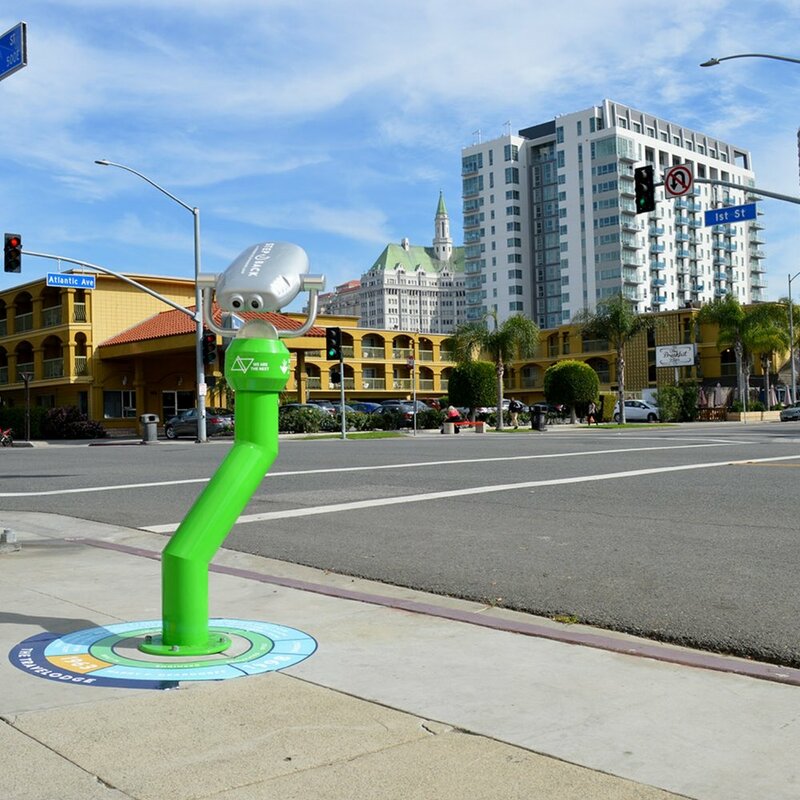 Step Back is a public art installation designed in conjunction with local nonprofit We Are The Next as part of a Downtown Long Beach Alliance (DLBA) Placemaking Challenge. This immersive project consists of a series of ‘Step Back’ Viewers that allows pedestrians and city explorers to see how the places that surround us are constantly changing. This project demonstrates the dramatic changes that occur around us, from demolishing beloved buildings to saving them, and adding new ones in between. Sidewalk infographics and a walking loop card were designed to compliment the Step Back Viewers.